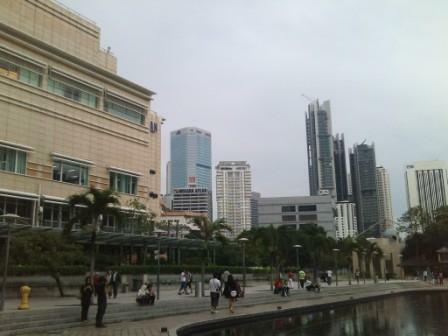 There are a number of restaurants and 2 food courts in KLCC. As I have mentioned in an earlier post, average folks who work around the area would not eat at KLCC on a daily basis. Many prefer to eat in nearby restaurants hidden in Wisma Central or behind the shoplots. 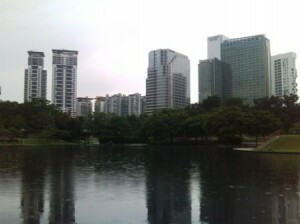 I watched with amusement that some tourists packed some food from somewhere else and sat outside KLCC, near the park to eat. Groups of people hung out at the area near the park. In the evenings, you can find joggers exercising around the park. After eating and picnicking, one can resume by going back into KLCC for some window shopping. 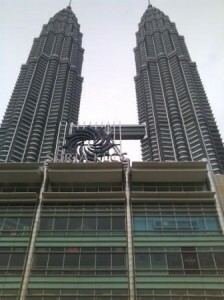 A number of high end stores and boutiques are available in KLCC. But for me, my favourite store is Kinokuniya bookstore because there are a huge variety of books available there.